I would recommend coming to this urgent care. They always have people coming in and out, but they make sure to see you as soon as they can. They didn't accept my insurance, but they still offer reasonable prices. I definitely felt taken care of here. I love that they accept insurance, I was in a bind and they really helped me out. The receptionist was very friendly and able to get me help quickly, which is the point of urgent care - fast service! As far as urgent care centers, this is one of the best ones I've been to. My visit here was so smooth. I had an ankle sprain and my regular doctor office required an appointment, so I decided to come here. One of the best urgent cares without insurance practices. The staff are really helpful and try to fit you in as soon as they can. This clinic is one of the best I have ever been to. Their patient care is top notch and they were open to answering any questions I had, as well as my concerns. I will continue going here. The nurses and doctors are really kind and made me feel quite comfortable in an environment I am usually uncomfortable with. Broke my arm and decided that I would have to wait too long at an emergency room so I came here instead and I'm glad that I did. I was able to see the doctor within 20 minutes of walking in. He set my arm and put a cast.. I'm well on my way to getting better because of them. Dr. Samouha is a great doctor. He isn't just trying to get as many people through the door to make more money, he genuinely care about your health. 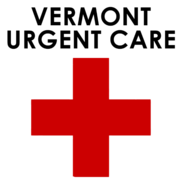 If you don't have insurance, need to be seen quickly AND still want quality care than you should go to Vermont Urgent Care. I desperately needed a doctor and I wasn't sure where to do so I came here and got help right away and made sure I had everything I needed to get better. Quick and efficient, but still really friendly and through. Really surprised at how nice the staff was and how quickly they took care of me. This is a great urgent care in Los Angeles, one of the best I would say, actually! I was having difficulty finding a good doctor in Koreatown, but I'm so glad I came across this urgent care. They helped get rid of a cold that wouldn't go away. Thank you Vermont Urgent Care. My uncle got the best care here and he was so happy and more healthy now. Kudos to the doctor and nurses. They were amazing! I got the most fantastic customer service at this urgent care! The staff was really welcoming and helpful. I brought my daughter into Vermont Urgent Care for a suspected broken arm. They got us in quickly and were so good to her. The best part was that it was just a sprain! Every doctor and staff member at Vermont Urgent Care have been nothing short of amazing to me. Was sick from terrible food poisoning and I couldn't stop vomiting. I walked in and luckily the wait wasn't too bad. They took incredible care of me. The front desk receptionist watched over me and offered me tremendous care while I waited. They gave me quality care that I would not have received from other urgent cares or emergency rooms. Dr. Samouha is truly amazing. Very knowledgeable and friendly. A few days ago, I got a deep cut from work that required stiches. Dr. Samouha was attentive, professional, and patient with me. Answered all my questions or concerns and gave me the best treatment I could ask for.